Steve Gaines is the 61st president of the Southern Baptist Convention and recently officiated their 2017 annual national meeting in Arizona. During the event, he pulled all the stops to get a resolution passed that condemns the so-called “Alt-Right.” After the resolution committee initially rejected it, he ordered an unscheduled vote. The resolution passed declaring that the “Alt-Right” is a sinful ideology. Local media says “youths” disrupted the event and engaged in mob fights. One person even pulled out a gun near the church property. Police made three arrests and church leaders say they are mortified. According to witnesses, who posted about it on Facebook, the people fighting were all black males and females. They report that a total of three individual fights took place in the parking lot. They also report that it is not even the first time that black mob violence has occurred at church events. Notes about the resolution: Critics denounce the resolution as shameless virtue signaling that directly contradicts a 2016 resolution that declares Israel to be an ethnostate for the Jewish people. 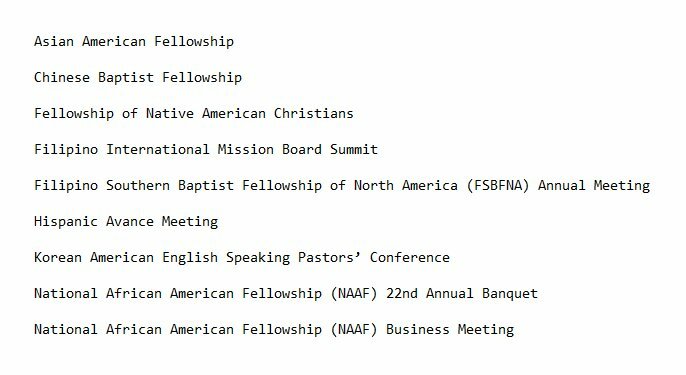 Also, the exact same meeting hosted nine different committees promoting racial identity politics for non-whites. The SBC was founded in the 1840s as a pro-Slavery church. They adopted the so-called “curse of Ham” from Muslims in North Africa and the Middle East. This is a traditional Semitic fable that was being used by Muslims to justify the Africa slave trade. It holds that sub-Saharan Africans are the descendants of Ham and God turned them black to mark them as the slave race. 3 Comments on "Pastor behind SBC anti-“Alt-Right” resolution has event ruined by “youth” mob violence"
of course they were black, who else …..when will it stop ? Now BLM needs to show up at Russell Moore’s church. LOL.. Cuck Church leader faces reality.